David Alland obtained a B.A. in Psychology from Columbia University and an M.D. from the Columbia College of Physicians and Surgeons. 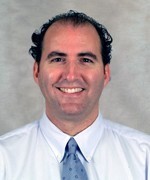 He performed his Internship and Residency in Internal Medicine at The Columbia-Presbyterian Hospital (Now the New York-Presbyterian Hospital), his Clinical Infectious Disease fellowship at Montefiore Medical Center, and a Research Fellowship at The Albert Einstein College of Medicine in the laboratory of Dr. Barry Bloom. Dr. Alland also spent a year in The London School of Hygiene and Tropical Medicine where he obtained an MSc. in Clinical Tropical Medicine and a Diploma in Tropical Medicine and Hygiene. After serving on the Infectious Disease Faculty of Montefiore Medical Center and the Albert Einstein College of Medicine, Dr. Alland moved to New Jersey Medical School, first as a member of the Infectious Disease faculty and then as Chief of the Division of Infectious Disease. Dr. Alland is a permanent member of the NIH ADDT (AIDS Discovery and Development of Therapeutics) study section, has chaired several ad hoc study sections, and reviewed grants for the WHO, Gates Foundation, and the Wellcome Trust. Dr. Alland is the P.I. of a multi-center $2,500,000 grant from the NIH to study the evolution of drug resistance in M. tuberculosis , a $2,000,000 grant from the NIH to study the evolution and phylogenetics of M. tuberculosis , and a $3,000,000 grant from the NIH to develop novel biodefense diagnostics. He has also been the principal investigator of a phase I Small Business Technology Transfer (STTR) grant awarded to Cepheid Inc. to develop novel methods to process clinical samples for PCR diagnostics. Dr. Alland was a project leader in the development of the Northeast Regional Biodefense Center, a multi-institution NIH grant to coordinate and promote biodefense research, and sits on the Executive Committee of this program. Dr. Alland has been awarded three patents based on his research: U.S. Patent Number: 6,268,201: iniB, iniA and iniC genes of mycobacteria and methods of use, U.S. Patent Number: 6,458,566: Method of identification of differentially expressed mRNA and U.S. Patent Number: 6,461,817: Non-competitive co-amplification methods. He has a forth patent pending based on recent work at UMDJ. In 2003, Dr. Alland was an invited speaker both the American Society of Microbiology (ASM) and the American Thoracic Society (ATS) general meetings, and a number of other international, national, and regional meetings. He has recently published important articles on M.tuberculosis epidemiology (Murray and Alland. Am. J. Epi . 2002. 155:565-571. ), genomics (Fleischmann et al., J. Bacteriol . 202. 184:5479-5490. ), evolution (Alland et al., J. Bacteriol . 2003. 85:3392-3399), and diagnostics (El-Hajj et al., J. Clin. Microbiol. 2001. 39: 4131-4137). Nancy D. Connell is Professor and Director of Research in the Division of Infectious Disease in the Department of Medicine at Rutgers New Jersey Medical School (R-NJMS) and the Rutgers Biomedical Health Sciences. 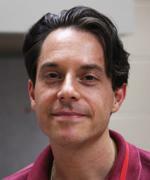 A Harvard University Ph.D. in Microbiology, Dr. Connell’s major research focus is antibacterial drug discovery in respiratory pathogens such as M. tuberculosis and B. anthracis; recent work also focuses on the use of predatory bacteria as novel therapeutics for bacterial infections. She is Director of the Biosafety Level Three (BSLIII) Facility of R-NJMS’s Center for the Study of Emerging and Re-emerging Pathogens and chairs the University’s Institutional Biosafety Committee. Dr. Connell has been continuously funded by the NIH, the Department of Defense, industry, and other agencies since 1993 and serves on or has chaired several NIH study sections and review panels. She has served on a number of committees of the National Academy of Sciences, e.g., the Committee on Advances in Technology and the Prevention of their Application to Next Generation Biowarfare Agents (2004), Trends in Science and Technology Relevant to the Biological Weapons Convention; an International Workshop (2010), and the Committee to Review the Scientific Approaches used in the FBI's Investigation of the 2001 Bacillus anthracis Mailings (2011). Dr. Connell is currently chairing NRC “Standing Committee for Faculty Development for Education about Research with Dual Use Issues in the Context of Responsible Science and Research Integrity”, which has directed a series of workshops held in Jordan (2012), Malaysia (2013), Trieste (2014), India, Istanbul and Egypt (2015), with participants from Malaysia, India, Pakistan, Egypt, Jordan, Yemen, Libya, Iraq, Morocco, Algeria, Tunisia, and Syria. Dr. Connell was recently appointed to the Board on Life Sciences of the National Academies of Sciences (2015-2020). Dr. Padmini Salgame obtained her Ph.D. degree from the University of Bombay, India. Following her graduation, she was awarded a Fellowship from the Wellcome Trust to obtain advanced training in Immunology with Prof. N. A. Mitchison at University College, London. Later she trained in the Immunology of Mycobacterial Diseases with Prof. Barry R. Bloom, at the Albert Einstein College of Medicine, New York. Since the fall of 1994, she has directed an experimental research laboratory involved in the research of tubercular host microbe interaction, and her research work is funded by the National Institutes of Health. From 1994 to 2003 she was Assistant and then Associate Professor at Temple University School of Medicine, Philadelphia, Pennsylvania. Currently Dr. Salgame is a Professor in the Department of Medicine, Division of Infectious Diseases and The Center for Emerging Pathogens at UMDNJ-New Jersey Medical School. Dr. Eng received his B.S. in Chemistry from University of Washington, his M.A. in Chemistry from Harvard University and the M.D. from Albert Einstein College of Medicine (NY). He was an ID fellow at SUNY, UMDNJ and Sloan Kettering. Dr. Eng joined UMDNJ as an assistant professor in 1980. He was the director of the ID division from 1994 to 1999. Currently, he is the Chief of Infectious Disease at VA Medical Center, where he is also the supervisor for Infection Control. Dr. Eng has more than 200 publications in scientific and medical journals. His major research interests are Mechanisms of Antibiotic resistance in Bacteria and the Detection of Metabolites as a means of Diagnosis. Dr. Eng has thirteen research projects sponsored by the State of NJ, the VA and different pharmaceutical companies. Dr. Kapila received his Pre-Medical degree from St. Xaviers College Calcutta, W. Bengal, India and the Medical Degree from the University of Delhi, India. After completion of his residency in Irwin Hospital India, he moved to the US where he was an intern, resident & fellow at Martland Hospital in Newark, NJ. He was also Assistant Chief of Medicine for the US Army in Okinawa Japan, during the Vietnam conflict. Dr. Kapila received his UMDNJ University Appointment in 1973 and the University Hospital Appointment in 1976. He is a founding member of the New Jersey Infectious Disease Society, and has also received the Excellence in Teaching Award from UMDNJ, and Life Time Achievement award from the Department of Medicine. Dr. Kapila is an attending physician and the Epidemiologist, University Hospital. Dr. Kapila is also the Chair of the Infection Control Committee. Lisa L. Dever, MD is Professor of Medicine at Rutgers New Jersey Medical School and attending physician at University Hospital in Newark. She received her medical degree from the University of Texas Medical Branch in Galveston and completed her Internal Medicine residency and chief residency there. Dr. Dever completed two fellowships, one in Infectious Diseases at the University of Texas Health Science Center at San Antonio, and the other in Microbiology at the Rockefeller University in New York City. Dr. Dever has authored or co-authored more than 60 journal articles, text chapters, and monographs focusing on the study, diagnosis, and treatment of infectious diseases. She is a member of the editorial board of Microbial Drug Resistance and an officer of the Infectious Diseases Society of New Jersey. She has participated in numerous clinical trials of new agents for the treatment of infectious diseases. Her major clinical and research interests include antimicrobial resistance and bone and joint infections. Dr. Dever serves as Vice Chair for Faculty Development in the Department of Medicine, Clinical Chief of the Division of Infectious Diseases and Director of the Infectious Diseases Fellowship Program. Dr. Sperber received his MD from the New York University School of Medicine. He was an intern and resident at the Stony Brook University Hospital SUNY, NY, and an ID fellow at University of Virginia. Dr. Sperber was a physician investigator at the AIDS clinical trials unit and Co-Director of the Antiviral section at the AIDS research lab in the Robert Wood Johnson Medical School. 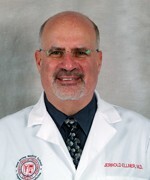 He was appointed director of the Medical Resident Research Program at Hackensack University Medical Center in 1992 and is currently the coordinator of the Internal Medicine clerkship and the Associate Director of the Infectious Diseases Fellowship Program at Hackensack University Medical Center, NJMS-UMDNJ. 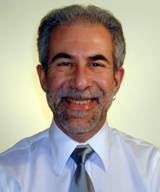 Dr. Sperber has many publications in scientific & medical journals. Dr. Sperber has worked intensively with respiratory virus infections and continues to have an interest in the management of rhinovirus and influenza infections. Dr. Swaminathan is an Associate Professor of Medicine at Rutgers New Jersey Medical School. She is the Clinical Research Site Leader for the NIH funded Clinical Trials Unit AT Rutgers, NJMS. 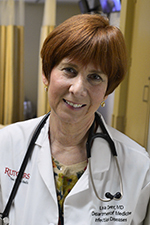 She is also the Medical Director of the Infectious Diseases Practice at University Hospital, Newark, NJ and is the Principal investigator of many Ryan White Grants to provide HIV care and treatment. In addition, she is also the Principal Investigator of the New Jersey Department of Health funded HIV testing and Navigator Programs. She completed her medical residency and was the Chief Resident at Englewood Hospital and Medical Center. She completed her fellowship in Infectious Diseases at the combined program of Montefiore Medical Center/ Albert Einstein College of Medicine, Bronx, NY. Her initial research projects included studying the utility of two-step tuberculin skin testing in drug users and outcome of antiretroviral therapy in protease inhibitor containing regimens. Her areas of interest include HIV and coinfection with hepatitis viruses. She is currently actively involved in many clinical trials for HIV-infected person and is the lead investigator in many HIV prevention studies at the institution. Dr. Freundlich received his B.S. and M. Eng. degrees in Chemical Engineering from Cornell University and his Ph.D. in Organic Chemistry from the Massachusetts Institute of Technology in the laboratory of 2005 Chemistry Nobel Prize laureate Richard R. Schrock. He spent ten years in the biotech/pharmaceutical industry, contributing to multiple IND submissions before moving to the department of Biochemistry and Biophysics at Texas A&M University as a senior scientist. He arrived at NJMS in 2011 to continue his work in infectious diseases. Currently, Dr. Freundlich is an associate professor in the Department of Medicine, Division of Infectious Diseases and The Center for Emerging and Re-emerging Pathogens, and the Department of Pharmacology and Physiology. His laboratory studies how the pathogen adapts to life within the host and, in turn, how the host responds to the infection. Currently, Mycobacterium tuberculosis and Plasmodium falciparum, the causative agents of tuberculosis and malaria, respectively, are of chief interest. The Freundlich lab seeks to leverage chemical techniques to study the essential pathogen biology and the host immune response to identify and validate biological targets and to seed the development of novel therapeutics. Dr. Padmapriya Banada obtained her PhD degree from Mysore University, India for her work on developing molecular methods for the detection of enterotoxigenic staphylococci and application in food quality programme. 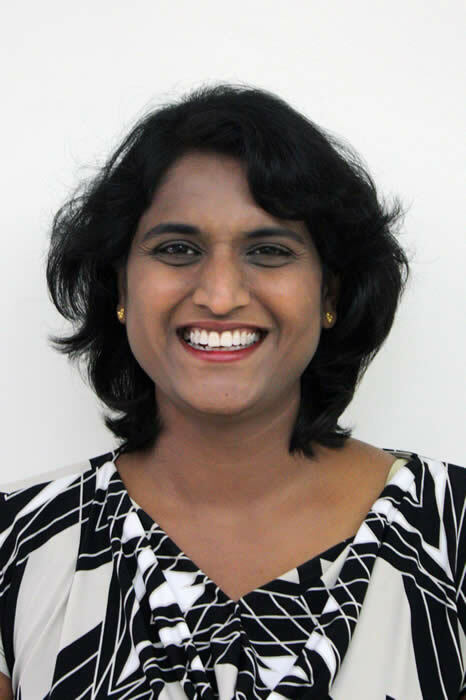 She worked as a postdoctoral research associate at Bhunia lab in Purdue University, on molecular diagnostics, immunoassays, cytotoxicity assays, lab-on-chip diagnostics and optical light scattering technology. She joined New Jersey Medical School as a research scientist to work with Dr. David Alland. Dr. Banada was a key player in the development of Xpert MTB/RIF assay and part of the team developing the Xpert MTB ultra. She developed the novel sample processing methods for blood and stool samples for detection of TB from immunocompromised patients and children. She is now leading projects on development of advanced diagnostics in bio-defense and sepsis with current focus on fungal sepsis and hemorrhagic fever viruses, including Ebola virus. Dr. Banada has more than 15 years of experience in molecular diagnostics of infectious diseases and tuberculosis. She is a recipient of Purdue Agriculture team award and has 5 US and European patents/product licenses to her credit. She has published over 32 peer-reviewed papers, several book chapters and reviews. She worked in collaboration with FIND and CDRC on several clinical trials in Africa, involving Xpert MTB/RIF assay for detection of TB in blood and stool. Dr. Colangeli received his PhD from La Sapienza University in Rome, Italy. He worked in the Microbiology Department at the Italian National Institute of Health (instituto Superiore di Sanita). After moving to NYC, he joined the Public Health Research Institute as a Post-Doctoral research fellow working in Immunology of Mycobacterium Tuberculosis. 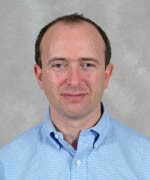 Dr. Colangeli was also a Post-Doctoral research fellow at Albert Einstein College of Medicine. He joined UMDNJ in 2002 as a research associate and now he is an Assistant Professor working with Genetics of Mycobacterium Tuberculosis. He is also a consultant on Bacterial Infections in a project from the European Union. Dr. Chew graduated from Brown University in 1984, and earned her medical degree from Mount Sinai School of Medicine in 1989. She completed her Internal Medicine residency at Beth Israel Medical Center, New York, in 1992, and her Infectious Diseases fellowship at Albert Einstein/Montefiore Medical Center in Bronx, New York in 1995. Dr. Chew was selected for the position of Epidemic Intelligence Service officer at the Centers for Disease Control and Prevention (CDC) and served from 1995-1997. She served as a medical specialist for the New York City Department of Health from 1997-1999. Dr. Chew joined UMDNJ University Hospital in 1999 as one of the attending Infectious Disease physicians in the Infectious Disease Clinic, and is an Assistant Professor of Medicine at Rutgers New Jersey Medical School. Her primary research interests are in HIV/AIDS and Human Papillomaviruses. She is a principal investigator and co-investigator in major ongoing HIV clinical treatment and prevention trials and studies. Dr. DallaPiazza is a graduate of the University of Pittsburgh School of Medicine and completed a residency in Internal Medicine Primary Care at the University of Pennsylvania. She completed her Infectious Diseases training at New York University with a focus on HIV primary care and medical education. At Rutgers NJMS, she continues to have a strong clinical interest in both HIV primary care and viral hepatitis. Her research activities are concentrated on HIV treatment and prevention through the AIDS Clinical Trials Unit. She is also involved in developing undergraduate educational enhancements in the area of cultural competency and healthcare disparities at the Medical School. 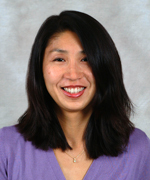 Dr. Nyaku is a graduate of the Northwestern University Feinberg School of Medicine. She completed her Internal Medicine residency and Infectious Diseases fellowship at Northwestern University Feinberg School of Medicine. She cares for people living with HIV/AIDS as well as people with general infectious diseases. Her research interest is in reducing HIV-related health and healthcare disparities, especially for racial and ethnic minorities. 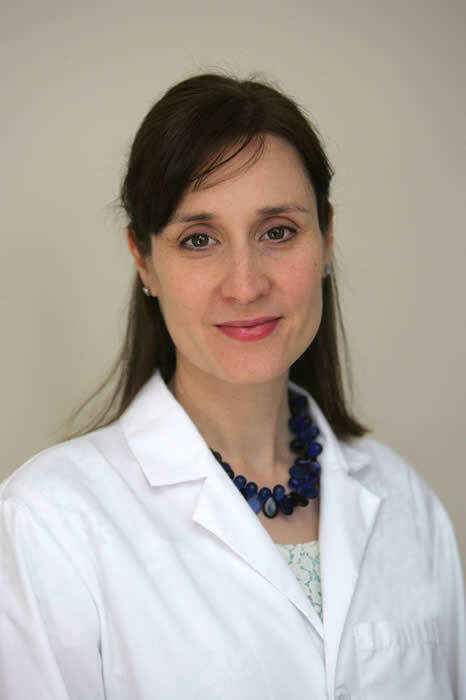 She is involved in HIV prevention and treatment trials through the New Jersey Medical School Clinical Research Center. Dr. Stoler received his medical degree from Moscow Medical and Dental School, Russia. He completed residency in Internal Medicine and then ID Fellowship at UMDNJ. Since 1999 he works as an attending physician in Inf.Dis/HIV clinic. He is also taking care of patients at Broadway House for Continuing Care. His major field of interest is HIV/hepC coinfection. 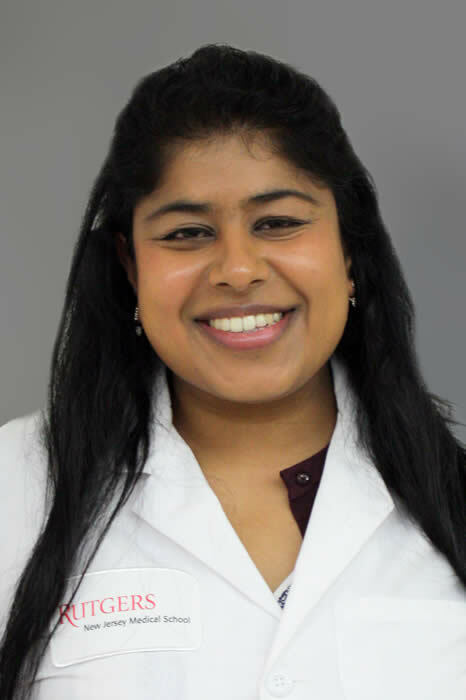 Dr. Tilly Varughese isa graduate ofthe combined BS/MD program at Sophie Davis Schoolof Biomedical Education (now CUNYMedical School)and SUNY Downstate Medical School, Brooklyn, NY. She completed her Internal Medicine residency training at Rutgers Robert Wood Johnson Medical School, New Brunswick, NJ and went on to complete her Infectious Diseases fellowship at Memorial Sloan Kettering Cancer Center, New York, NY. Her research during fellowship was focused on characterizing the types of infections and risk factors for infections developed in lymphomapatients who were receiving Ibrutinib, a Bruton's tyrosine kinase inhibitor and quality improvementprojectslooking atpatients presenting to the hospital with fever and neutropenia.She primarily is interested in the clinical care of patients with non-HIV immunocompromising conditions, including patients with various types ofcancer and solid/liquid transplants. She will be involved in the building of an Infectious Disease Liver transplant program here at Rutgers New Jersey Medical School. Dr. Kumar received his PhD from the Indian Institute of Science, Bangalore, India for his work on DNA repair in Mycobacteria and MSc in Animal Biotechnology from the National Dairy Research Institute, Karnal, India. 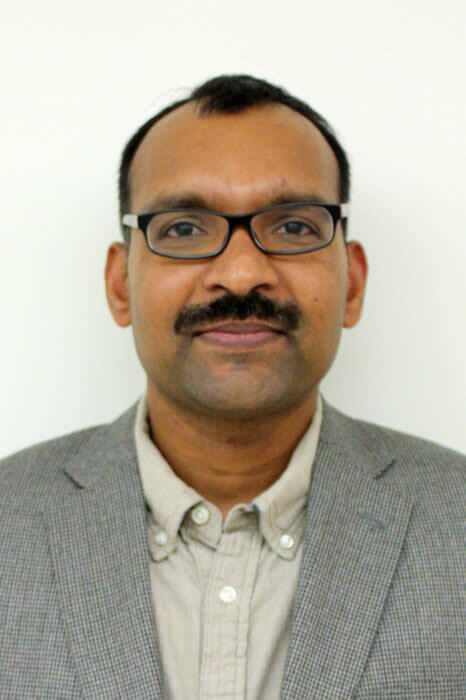 Dr. Kumar joined New Jersey Medical School in 2011 after his postdoctoral training in anti-TB drug discovery with Prof. Clifton Barry at the National Institutes of Health, Bethesda, MD. Current focus of his research is on developing pathway based screens to identify and validate novel druggable targets in Mycobacterium tuberculosis. He uses biochemical, genetic, genomic, metabolomics and chemical biology tools to understand mechanism of action of novel anti-TB compounds aimed at developing screening hits into viable lead compounds geared towards targeting multi-drug resistant TB. He is also studying mechanisms underlying drug resistance and persistence in Mycobacterium tuberculosis. 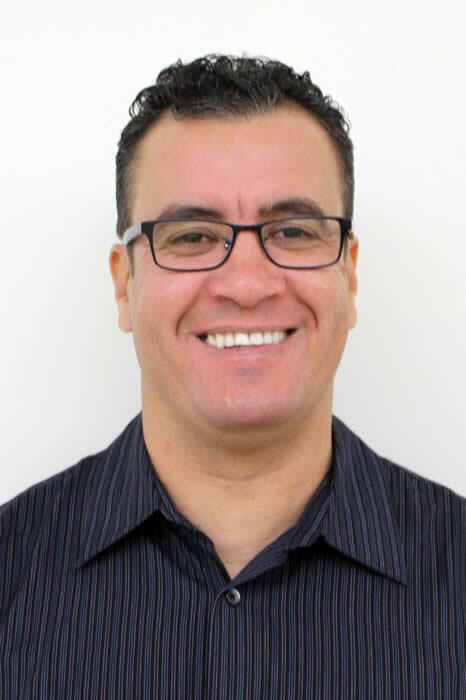 Dr. Safi obtained his PhD in Biological sciences from the University of Seville, Spain. His doctoral dissertation titled “Molecular epidemiology of Mycobacterium tuberculosis in Seville, Spain”. He then spent 1 year at the University of Arkansas for Medical Sciences as postdoctoral fellow, where he initiated his research interests on Mycobacterium tuberculosis drug resistance. His second postdoctoral position was at the University of Texas Health Center, where he was trained in the immunology of Mycobacterium tuberculosis infection. 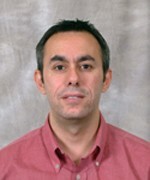 Dr. Safi joined UMDNJ/Rutgers in 2004. His main research interests are focused on the mechanisms of drug resistance in M. tuberculosis. His research emphasizes the use of Next Generation Sequencing to elucidate novel mechanisms of evolution and dynamics of antimicrobial resistance in M. tuberculosis. Dr. Ellner received the A.B. degree from Cornell University and the M.D. degree from Johns Hopkins University. He completed residency in medicine at the Johns Hopkins Hospital where he served as Assistant Chief of Service (Chief Medical Resident). Dr. Ellner received post-doctoral training in Infectious Diseases and Immunology at the Laboratory of Clinical Investigation, National Institute of Allergy and Infectious Diseases, National Institutes of Health. 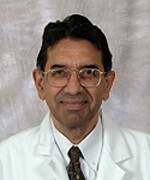 He joined the faculty at Case Western Reserve University as Assistant Professor in 1976 and was promoted to Professor of Medicine and of Pathology in 1983. He served as Chief of the Division of Infectious Diseases at University Hospitals of Cleveland 1979-1996. Dr. Ellner also was Vice-Chair, Executive Vice Chair and Acting Chair of the Department of Medicine at Case Western Reserve University. He was Director of the Tuberculosis Research Unit at Case Western Reserve University 1994-9. Dr. Ellner was recruited to UMD-New Jersey Medical School in 1999 as Emerging Pathogens Endowed Professor of Medicine and Director of the Ruy V. Lourenço Center for the Study of Emerging and Re-Emerging Pathogens . He was appointed as the first University Professor of UMDNJ and served as Vice-Chair for Research of the Department of Medicine, and then as Interim Chair before becoming Chair of Medicine June, 2002. In 2009, Dr. Ellner accepted the position of Professor of Medicine & Chief, Section of Infectious Diseases at Boston University School of Medicine and Boston Medical Center. Dr. Ellner is internationally recognized for his research on tuberculosis and its interactions with HIV infection. He has published over 200 original articles in the peer-reviewed scientific literature. He was the principal architect of the Uganda-Case Western Reserve University Research Collaboration, which has been extended to UMDNJ and is Co-Director and Founding Member of the Academic Alliance for AIDS Care and Prevention in Africa. Dr. Ellner currently directs a Wellcome Trust Infectious Diseases initiative in Kampala Uganda on the Management of Multi-Drug Resistant TB in resource poor settings. He is Principal Investigator of an NIH-funded program on the Immune Response to TB that is conducted in Mexico City and recently was awarded an International Collaboration in Infectious Diseases Research (ICIDR)award by NIH to support research on TB transmission and pathogenesis in Vitoria Brazil. Dr. Ellner's accomplishments have been recognized by his election to the American Society of Clinical Investigation and the Association of American Physicians. He received the Squibb Award from the Infectious Diseases Society of America in 1990. Dr. Ellner served as Chair of the Tuberculosis Panel of the U.S.-Japan, Cooperative Medical Sciences Program. He was Member and Chair of Bacteriology and Mycology-1 Study Section of the NIH, and a member of the National Advisory Allergy and Infectious Diseases Council, the Immunology of Mycobacterial Diseases Steering Committee of the World Health Organization and the Public Health Service Advisory Council for Elimination of Tuberculosis. He received the Northeast Ohio Live, Outstanding Achievement in Health/Medicine Award in 1998 and was named Best Doctor in New York, by New York Magazine and Top Doctor in New Jersey by New Jersey Monthly each year since 2001. Dr. Ellner was Co-Editor-in-Chief of "Tuberculosis" formely known as "Tubercle and Lung Disease" and a member of the Scientific Advisory Panel of the Public Health Research Institute. He is a member of an Institute of Medicine Committee on Infectious Diseases complications of the Gulf War and current conflicts in Afghanistan and Iraq and of the Data Monitoring Committeeof the Division of AIDS, NIAID, NIH on Clinical Trials on Therapies for HIV, AFRICA. After completing his Baccalaureat in France, Dr. Jones attended medical school in Mexico at La Salle University. Upon finishing medical school in 1991, he worked for two years with the humanitarian organization Doctors Without Borders (MSF France) during the civil war in Angola and the refugee crisis in the Thai/Cambodian border. Upon his return from MSF, Dr. Jones trained in Internal Medicine and Infectious Disease in Mexico (Instituto Nacional de la Nuticion Salvador Zubiran) and Cleveland (University Hospitals of Cleveland). During his time in Cleveland, he also completed a Master's Degree in Epidemiology & Biostatistics at Case Western Reserve University while working in the Tuberculosis Research Unit on several large epidemiological studies in Uganda. Dr. Jones was recruited to UMDNJ in 2001 and deployed to Uganda where he lived for two years while launching a large collaborative research project on drug-resistant tuberculosis funded by the Wellcome Trust (UK). In 2010, Dr. Jones accepted the position of Associate Professor of Medicine, Section of Infectious Diseases at Boston University School of Medicine and Boston Medical Center. Dr. Jones has published several articles and book chapters over the last few years and is actively participating in several research efforts focusing on tuberculosis and HIV disease in the United States, Uganda, Mexico and Brazil. He is the Principal Investigator or co-investigator on numerous research grants from National Institutes of Health, Wellcome Trust, UMDNJ Foundation and pharmaceutical companies. His research interests include tuberculosis, HIV and international health issues. In addition to English, Dr. Jones is fluent in Spanish and French, and enjoys working in multicultural settings. Dr. Jones is an Assistant Professor of Medicine at UMDNJ-New Jersey Medical School and Associate Chief for Research at the Division of Infectious Diseases. He also holds honorary appointments at Makarere University Medical School in Uganda and the London School of Hygiene and Tropical Medicine-University of London. Robert Wallis received his B.A. (1978) from Antioch College , and M.D. (1982) from Case Western Reserve University School of Medicine. He completed a Residency in Internal Medicine and postdoctoral Fellowship in Infectious Diseases at the University Hospitals of Cleveland , and then became a member of the faculty of the Department of Medicine at CWRU in 1987. In 2000, he moved his laboratory to the University of Medicine and Dentistry of New Jersey, where he directed clinical and research activities of the Division of Infectious Diseases of the New Jersey Medical School . His academic career focused on laboratory-based studies of mycobacterial pathogenesis and immunity, and international clinical trials of tuberculosis diagnosis, treatment, and monitoring, and of the co-pathogenesis of HIV and tuberculosis. In 2004, Dr. Wallis became Medical Director at PPD, Inc., a global contract research organization that provides discovery, development and post-approval services for industry, academia, and government. In 2008, he took his present position with Pfizer, where he is Clinical Group Lead for Anti-Infectives and Clinical Lead for Pfizer's TB oxazolidinone program. Dr. Wallis maintains adjunct faculty appointments at both his former universities, where he continues to be actively involved in laboratory and translational research. Dr. Wallis has published over 120 scientific papers in journals such as the Lancet Infectious Diseases , Journal of Immunology , the Journal of Infectious Diseases, Blood , The Journal of Clinical Investigation , The Proceedings of the National Academy of Science , and Infection and Immunity , and has authored chapters in textbooks such as Tuberculosis and the Tubercle Bacillus (ASM Press), Tuberculosis Drug Development (Nova Science Publishers), and Tuberculosis: A comprehensive clinical treatise (Elsevier). He serves on Editorial Advisory Boards of several journals, including the Journal of Infectious Diseases , Tuberculosis, and Clinical and Laboratory Immunology. He has served on numerous expert advisory and review panels of the US National Institutes of Health, World Health Organization, Gates Foundation, Ireland Science Foundation, Portugal Ministry of Science, and the Wellcome Trust. Dr. Wallis previously served as Chair of Division U (Mycobacteriology) of the American Society for Microbiology, and is a Fellow of the Infectious Disease Society of America. Dr. Chakravorty has a BS in Chemistry, MS in Biochemistry from University of Calcutta and a Ph.D. in Biotechnology from All India Institute of Medical Sciences, New Delhi, India. Dr. Chakravorty has more than fifteen years of experience in molecular biology research with special focus on the molecular diagnostics of infectious diseases and tuberculosis. He joined New Jersey Medical School as a Post-Doctoral fellow in 2004 and is now an Assistant Professor leading multiple successful projects to develop next generation diagnostic assays for infectious diseases. His major projects involve collaborating with diagnostic companies and funding agencies like Foundation for Innovative New Diagnostics (FIND) towards successful in vitro diagnostic (IVD) product development. At New Jersey Medical School, Dr. Chakravorty has done pioneering research along with Dr. David Alland in establishing new diagnostic paradigms for identification of sepsis causing bacteria and fungi and rapid point of care diagnosis of drug resistant tuberculosis. Dr. Chakravorty was a part of the team that developed the Xpert/MTB RIF assay and is currently working on developing second generation advanced point of care diagnostic kits like Xpert/MTB RIF Ultra and Xpert/MTB XDR as the principal assay developer in collaboration with Cepheid Inc. and FIND. He is also actively involved in formulation and data analysis in Clinical trials involving these kits. Dr. Chakravorty has over 20 peer reviewed publications, is a co-PI in two different grants and has applied for several patents with Dr. Alland. Dr. Dharan completed medical school at Georgetown University School of Medicine and residency in Internal Medicine at Georgetown University Medical Center. She then joined the Epidemic Intelligence Service of the Centers for Disease Control and Prevention, a two year training program in applied epidemiology and outbreak response. She completed her EIS training in the Influenza Division where she conducted multiple studies on seasonal and pandemic influenza epidemiology, influenza antiviral treatment resistance, and healthcare-associated influenza outbreaks and infection control. 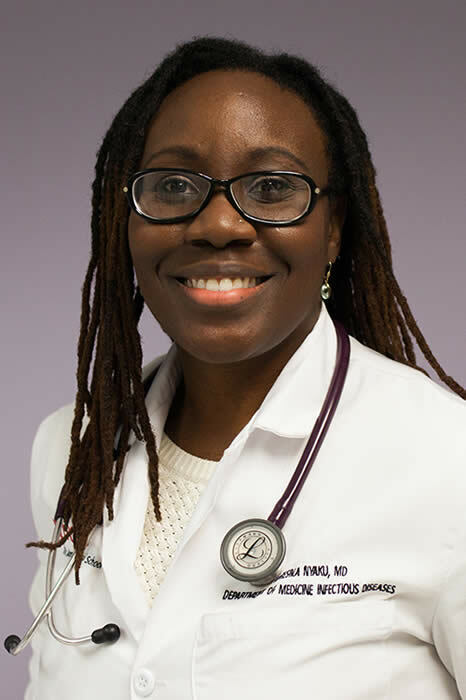 She then completed a clinical Infectious Diseases Fellowship at New York University and joined New Jersey Medical School (NJMS) as an Assistant Professor of Medicine. 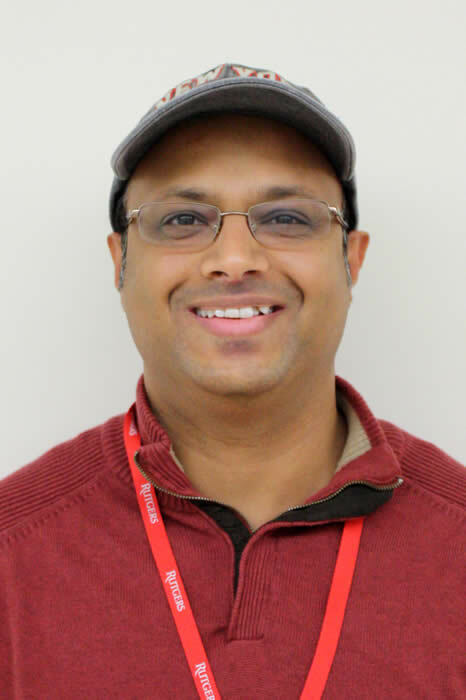 At NJMS, Dr. Dharan sees patients in the Infectious Diseases Clinic, serves as teaching attending on the inpatient Infectious Diseases Consults Service, and is conducting research in influenza and tuberculosis (TB) diagnostics. 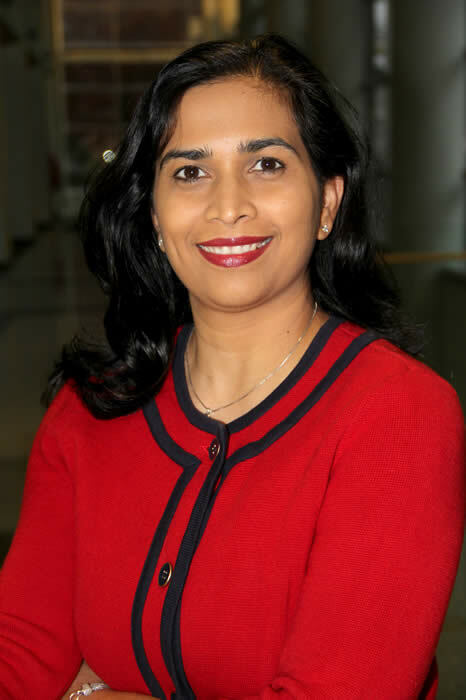 Dr. Dharan is currently the site PI for three influenza studies implemented through the NJMS AIDS Clinical Trials Unit (ACTU). 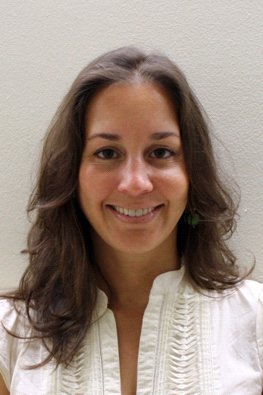 She is also the site PI on one ACTU study evaluating pharmacokinetic interactions with vaginal ring contraception and antiretroviral therapy and one HIV Prevention Trials Network study evaluating the use of a broadly neutralizing monoclonal antibody in reducing acquisition of HIV infection. She is also working with Dr. David Alland, the Chair of the Infectious Diseases Division, on studies to evaluate tuberculosis diagnostics including the evaluation of a stool Xpert assay in children and a novel assay for the rapid diagnosis of drug resistant TB. Dr. Huang has more than 15 years of basic science/clinical research and academic/clinical/industry experience. Dr. Huang received his M.D. and Ph.D. from the University of Texas at Houston Medical School. He is board certified in internal medicine and infectious diseases. He completed his internal medicine residency at the University of Texas at Southwestern and his infectious diseases fellowship at Baylor College of Medicine. He completed his law school from Pace Law School and bar exam in New York. He is a fellow of the American College of Physicians and a fellow of the Infectious Diseases Society of America. Dr. Huang's research interest has focused on the epidemiology, pathogenesis and treatment of viruses and bacteria, including multi-drug resistant pathogens, and has resulted in over 100 peer-reviewed publications. Dr. Huang currently serves as the Chief Medical Officer of Motif BioSciences, where he leads the company in the development of anti-infective therapies targeting multi-drug resistant pathogens that cause serious and life threatening infections. 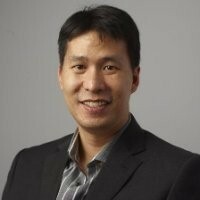 Prior to joining Motif BioSciences, Dr. Huang served as the Chief Medical Officer of ContraFect Corporation, where he played a key role in progressing the first bacteriophage endolysin into humans in the U.S. and as the Global Medical Director of Medical Affairs for Pfizer Inc, where he played a key role in the development efforts of linezolid (Zyvox) for MRSA-associated infections. Dr. Huang started his infectious diseases career serving as an Assistant Professor at Baylor College of Medicine, and currently serves and has served as an Adjunct Clinical Professor at Rutgers New Jersey Medical School over five years, and he is an attending physician at the Veterans Affairs Medical Center, where he has served for over 15 years.